Businesses and municipalities across Ontario are getting involved with Epilepsy Awareness Month, and Trevor Gordon is promoting their activities, encouraging dialogue about epilepsy and prompting people to help spread the word about a condition that affects one in every 100 Canadians. Trevor, Epilepsy Ontario’s manager of social media platforms, says he’s seeing lots of involvement with this year’s awareness campaign. There are galas dedicated to epilepsy awareness. Schools and businesses are being decorated with purple, the official colour of Epilepsy Awareness Month. 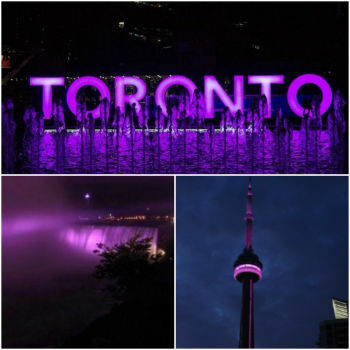 Several Ontario landmarks have been lit purple in honour of Epilepsy Awareness Month in March. Clockwise from top, the Toronto sign at Nathan Phillips Square, the CN Tower and Niagara Falls. Ontario landmarks, including Toronto’s CN Tower, the Toronto sign at Nathan Phillips Square, Niagara Falls and the Port Credit Lighthouse are all being lit up in purple, and this is attracting lots of attention on social media, Trevor says, adding some photos of these landmarks are getting as many as three million views, thousands of shares and hundreds of comments. “The engagement on our social media right now has never been higher,” he says. “It’s so amazing to see. It’s so amazing that it’s getting people asking why are (there) not more things lit up (and) how do we get (landmarks) lit up. 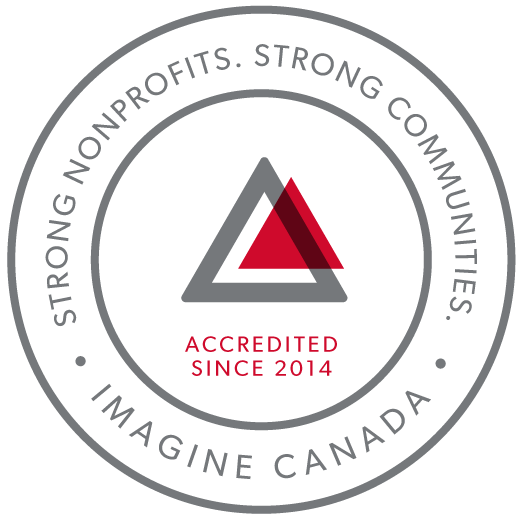 Supermarket chain Zehrs has been involved in Epilepsy Awareness month since 2012. Zehrs’ 42 stores are selling purple T-shirts embossed with the hashtag #ZehrsPurpleDay as well as asking for donations at cash registers to raise epilepsy awareness and to help support local epilepsy agencies. Trevor says this campaign is also creating exciting conversations on social media. “It’s just amazing to see the amount of people saying they bought the T-shirt and watching others tagging friends saying, ‘oh, when you’re by the store can you buy me four shirts?’ ” Trevor says. Trevor notes that the energy behind the Epilepsy Awareness Month campaign is an example of positive outcomes that social media can produce. Epilepsy Awareness Month activities lead up to Purple Day on March 26. Purple Day was launched in 2008 by Cassidy Megan, a then-nine-year-old Nova Scotia girl who was diagnosed with epilepsy when she was seven. Cassidy had one goal for Purple Day: for people to come together globally to learn about epilepsy to reduce its stigma. On March 26, epilepsy support agencies and people accessing their services will be attending the annual Purple Day at Queen’s Park event to speak with MPPs to raise awareness and discuss challenges.